Battle of the Bulb, Part 2: How To Buy the Right Light — Trim Design Co. In our last go around with this whole LED lighting debacle, we dug into the realm of recessed canned lighting. Today, we’re going to get into other light sources in your home: those typical, standard medium-base light bulbs we use in lamps, and LED light strips. Light strips are something you might decide to use for under-cabinet lighting in your kitchen, or other ambient lighting areas in your home. Now, your eyes might glaze over reading this first part, but if LED light really bugs you, it’s worth digging in to three components that affect the way different LED lights appear to your eye. This way you’ll know what to avoid and what to look for when you’re purchasing bulbs. So, without further ado, let’s dig in! Basically what we need to know about lumens is that it equals brightness. Now, we used to go to the store and buy a 100 watt bulb if we wanted bright light. Well, watts was the amount of energy the bulb expended--the higher the wattage, the stronger the bulb, the more light it would give off, so to speak. But, in the new world of LED, which is very energy efficient and isn’t expending a whole lot of energy, we look to a bulb’s lumens to determine how bright the light is going to be. This is our first step in bulb hunting (and remember, I advise you to avoid purchasing LED integrated light fixtures that come with the permanent LED light bulb in place. Because, my hope is that LED aesthetic technology will continue to improve (quickly!!!!!!). I want to (and you should too) be able to update any light bulbs in my house as they improve, not be stuck with something that’s whatever they’re able to make today, but archaic in 5 years. Because let’s face it, light fixtures (and the electrician who installs them) are expensive and an investment that you want to last! But, it makes sense against the chart because at its brightest, it’s 1300 lumens, which is close to the 1600 lumens on the chart and similar to a 100 watt bulb. And at it’s dimmest, it’s 305 lumens, which is lower than a 40-watt on the chart. I use these bulbs in my kitchen pendants. They’re not 3-way, but I have them on a wall dimmer and love them. When they’re going full throttle, it’s clear, bright light. When they’re dimmed, it’s cozy, dinner light that makes people look good (it’s like a touch of botox in your light bulb!). Amazingly, these have lasted a long time. I don’t want to jinx it, but I’ve had them in there since we re-did the kitchen almost 2 years ago and they’re still cranking! O.k., this is a biggy. This can make or break how your bulb. CRI stands for Color Rendering Index. What that means is that the higher the rating (you want it as close to 100 as possible), the closer the bulb will be to showing an object in its true color. So, when you get a cheap-o LED bulb (or heaven forbid one of those terrible CFL bulbs--see pic below), and you look in the mirror under that light and you look ghastly green, this is why. Your bulb has a poor CRI (prob close to 80 or less). My least favorite bulb in the history of bulbs! Stay far away!!! Truly, CRI is the area where lighting manufacturers need to turn their focus. If they can get this number up near 100 (which is what it is for the old incandescent bulbs and why we loved them so), then we can all take a deep breath and start to warm up to LED lighting. Until then, look closely for information on CRI--look for it to be above 90 if possible. Sometimes info on CRI can be maddeningly difficult to find on packaging or in stores--probably because the manufacturers know their CRI isn’t up to snuff, so they don’t want to advertise it! Another important aspect of LED bulbs. Kelvin refers to color temperature. Warmer lights (more similar to incandescent will be between 2700 and 3000 kelvins). I’m a 2700 kind of gal. Even 3000 is too cool for me. But, this is a very personal choice, so for some, 2700 may be too yellow. Anything over 3000 looks like an operating room to me and I wouldn’t go near it. I have made the mistake of going too warm and getting 2400 kelvin lighting...more of that in my LED light strip segment later on. Whatever you do, stay consistent with your kelvins within the same room so you don’t have a lot of clashing light temperatures. That would be a problem. Now, do you want to know the creme de la creme of LED lightbulbs out there? Take a deep breath, because you’re going to have to pay for it...but it may be worth it. And remember, LEDs last nearly forever! I cannot vouch for this particular bulb, but I do own one of the brand’s bulb, and I’d like this one for a birthday present (o.k., maybe that’s a little extreme, but it does sound lovely!). “We couldn't find an LED bulb we were happy with. So we built our own. LED Tala Porcelain III Bulb from Rejuvenation. And let’s not forget about the the CRI: It’s a stellar 95!!!!! I’m sold….well, until I see the price tag. It’s offered (pre-sale, end of January 2019 expected to ship) on Rejuvenation for $38. Yep, you read it right. $38. And that’s on sale from a suggested price of $48. I know, take a deep breath. That’s an awful lot for a lightbulb. Now, my hope is that as with all other technology, other brands will catch up and competition will force prices to go down, but I’m just telling you how it is...today. One more thing to noodle through on the Tala bulb: It’s a bit of a tank, size-wise. The specs say it’s nearly 5” diameter x nearly 7” in height. Whoa! That’s big. My GE bulb I mentioned earlier is only about 3” diameter x 5” high. So, I’m not sure how this big ‘ole bulb will fit in certain lamps, especially ones with smaller harps. But again, let me be the guinea pig and sacrifice my $38 to test it out and I’ll report back to you ASAP. And my last plug on light bulbs (pun intended!). Please, please, please, for all your lamps that are plug-in only and are not connected to a wall switch with a dimmer, get yourself a tabletop dimmer (better yet, bring your lamps in to a lighting shop to have the switch replaced with a dimmer switch). Here is a picture of a cheap table-top dimmer from Amazon. They’re clunky, but again, they get the job done in a jam! Light strips are great. They’re easy and typically relatively inexpensive. One word of caution when considering them for under-cabinet lighting. The little lights will reflect in a line of dots on shiny countertops, and unless you have a good amount of light rail concealing your under-cab lighting, the dots of light may be distracting or annoying to you if you’re sitting at a table in the same room and can see them. But really, the same could be true for more traditional light bars. A word of caution if going the Home Depot route: make sure you see what the light strip looks like lit up before purchasing.The strip lights my electrician initially bought from Home Depot were operating-room stark (meaning too high a kelvin temp and bad CRI, and they didn’t dim well--it’s more like they have 2 or 3 settings of brightness, rather than continuous dimming). I wasn’t using them as under-cab lighting, but if I were, the starkness would’ve clashed with the warmth I had going in recessed canned lighting and pendants in the same room. This is one company (that I know of anyway) that is killing it when it comes to producing high quality LED light strips: Flexfire LEDS. These are the lights we ultimately ended up using to line the top of exposed beams in our living room for ambient up-lighting. The color rendering is warm (not at all sterile), they're completely dimmable, and operated by a remote control. I love them. The only thing (and they’d warned me)...is that I was so scarred by the cold, stark LED light strips my electrician had first installed, I went too warm this time. Flexfire recommended I go with 2700 Kelvin temp, but I went with 2400, and in the end they’re a bit too yellow. I ultimately may replace them down the road. But I can’t say I hadn’t been warned! Flexfire LED strip lights above the beams in my family room. These are my Flexfire lights (above), dimmed considerably. When lit full throttle, they eliminate the need for any other light in the room, despite being only on two beams and aimed toward the ceiling. These are some powerful lights! And they dim down to almost zero. But don’t go with 2400 Kelvin--too warm. Stick to 2700 Kelvin. The company is a pleasure to work with remotely (they’re based in CA and have wonderful customer service). For my living room beam project I just called and explained the type of lighting I was hoping to achieve and asked if they might have a product that would work. They led me through all the steps to make sure I got what I (and my electrician) would need to install them. 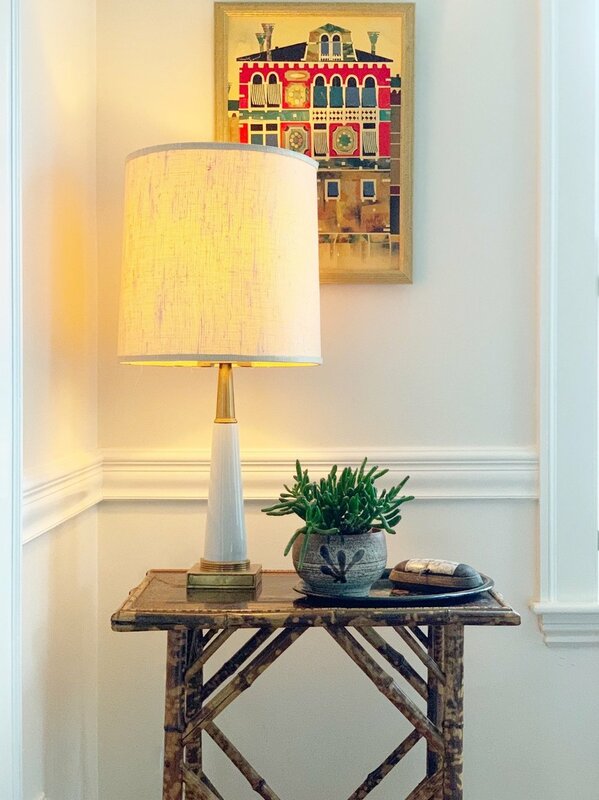 They’ve got a comprehensive gallery on their site showing different places and ways to use their lights in your home. Over to you! We’d love to hear your experiences with LED bulbs, light strips and all that good stuff! We’re always hoping to learn more and avoid a mis-step down the road.